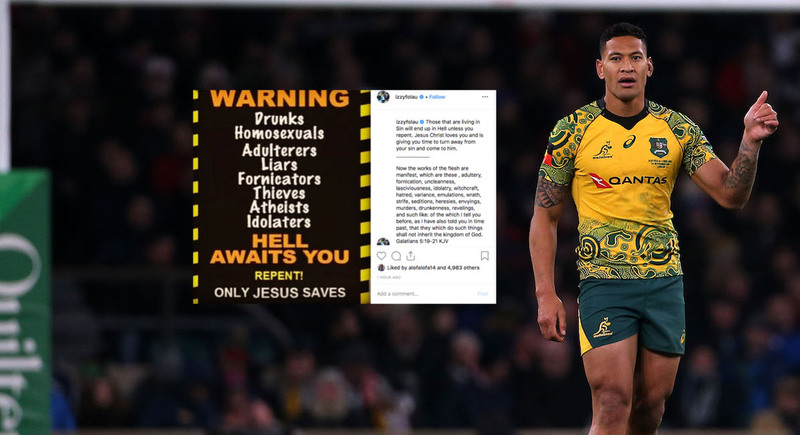 Israel Folau has plunged himself into controversy with more commentary on sexuality and religion. “The devil has blinded so many people in this world, REPENT and turn away from your evil ways. Turn to Jesus Christ who will set you free,” he wrote on Wednesday night above a screenshot of a news story covering the landmark legislation. Rugby Australia was contacted for comment.